WASHINGTON -- The technology that George Lucas brought to moviemaking came back to haunt him at the Kennedy Center Honors. 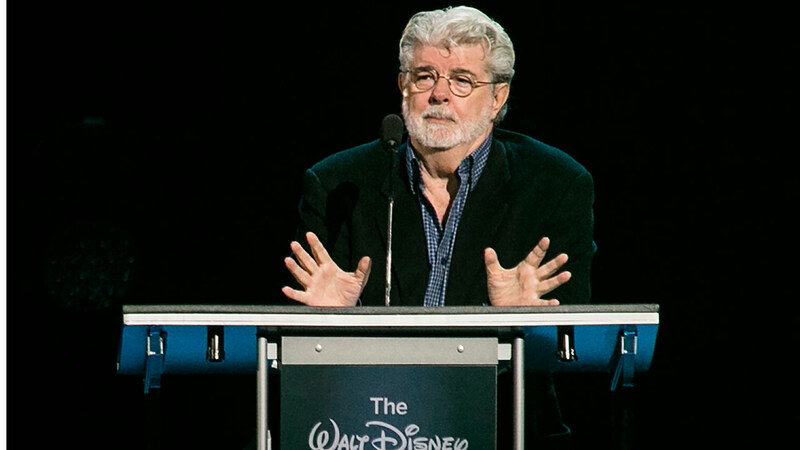 As the tribute to Lucas began at Sunday night's gala honoring him and four others for contributing to American culture through the arts, the crowd was asked to welcome Carrie Fisher. But the star of the original "Star Wars" trilogy and the upcoming "Star Wars: The Force Awakens" didn't appear in person. Instead, one of Lucas' beloved creations, the feisty droid R2-D2, rolled onstage and projected her image. Moreno, a native of Puerto Rico who started dancing at age 9, became the first Latina to win an Academy Award when she was honored for her performance as Anita in "West Side Story." She was honored for her diverse and boundary-pushing career, including memorable stints on children's television. "She's still a leading lady of her era, a trailblazer with courage to break through barriers and forge new paths," Obama said. Tributes to Moreno came from her "Jane the Virgin" co-star, Gina Rodriguez, and Rosie Perez, who sang "Fever" with the overzealous Animal of "The Muppets" on drums - a performance Moreno originated, winning an Emmy. They said Moreno paved the way for themselves and other Latino actors. This marks the 38th year of the Kennedy Center Honors, and the event had new producers for the first time. Stephen Colbert of CBS' "The Late Show" hosted the gala for the second consecutive year. It will be broadcast Dec. 29.